Just an ordinary lady looking to have friends.
. Someone who can take me as they find me. uruanna is a Female dating in Limerick, Ireland. 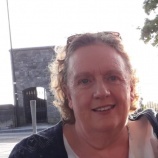 Check the description of this 58 years old profile, she is White/Caucasian and Christian maybe this matches your profile description and you can both start dating in Ireland for free. The stars says she is a Libra maybe you should check your horoscope and match up your star sign.